This Crecopia on the other hand has just emerged. Join the Lytle Creek League of Conservators/No Child Left Indoors volunteers, in their ongoing mission of reconnecting children to nature, August 1 at 9:00 p.m. near the J. W. Denver Williams Memorial Park pond for a night insect discovery hike and educational program. This adventure has to take place on a dark summer night, so be prepared with flashlights and appropriate footwear. 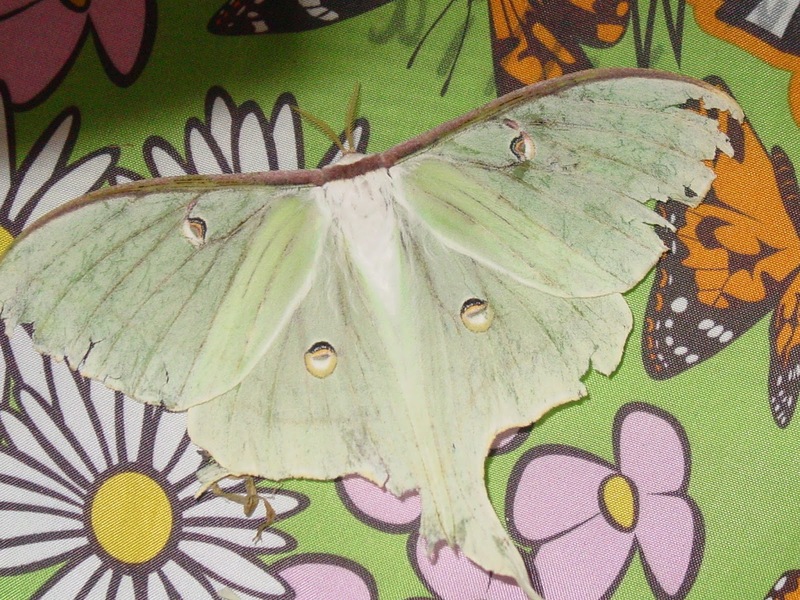 Our nocturnal insect study will feature some of the state’s large night time Lepidoptera…..the moths. The order Lepidoptera includes all butterflies and moths. 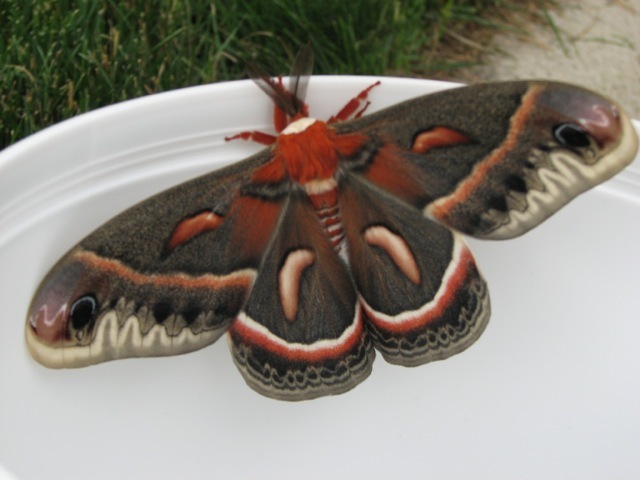 Some of our programs have featured our daytime fliers, now we want to see if we can attract and spot some of our more secretive night time ones….maybe a beautiful Cecropia or Polyphemus moth or one of the many species of sphinx’s moths. Since they are nocturnal, viewing sites will be set up after dark to attract the moths and will continue until 11 p.m.. Naturalists will be on hand to help identify what we see. Children must be accompanied by a responsible adult at all times. Our gathering spot will be Shelter D, just off Fife Avenue near the pond and wooden playground. Registration is required. Please register HERE. For additional information contact Lori Williams, (937) 725-5756.